Short-lived plants, less than a year, upright, hairy, high 1 - 3 meter. Planted in the yard garden which getting enough sunlight use as Houseplants. Hypertension, headache, toothache, menstrual pain, rheumatism, stomach pain, mastitis, difficult giving birth, dysentery, measles, urinary infection, bronchitis, cough, vaginal discharge, malaria. High blood pressure, reduce the pain of headaches, dizziness, toothache, menstrual pain (dysmenorrhoe), abdominal pain (gastric pain), inflammation of the breast (mastitis), rheumatic (arthritis), difficult giving birth. No appetite, lethargy, bloody dysentery, stimulate spending rash (redness) on measles, headaches. B. Marrow of stem and the flower base (reseptaculum). - Gastric cancer, esophageal cancer malignant mole. - Also for stomach pain, urinary difficulty and pain (dysuria), pain on urinary tract stones urination, bloody fatty urine (hematuria) fatty urine (chyluria). Use of Outer: burned, scalded, rheumatic. 30 Grams brewed beans. Then steamed for 1 hour. Lift, add rock sugar to taste and drink. dried in the sun. Once dry roasted / toasted until charred. Then ground into powder / flour. Drink 3 times a day. Description: Each drink up 10-15 grams mixed with white wine + sugar + warm water . The first drink must sweat it out. flower head boiled up into starch. Stick it on the sore spot. 25 to 30 Grams + 1 whole chicken eggs + 3 glass of water, boiled to 0.5 glass. Taken after meals, 2 times a day. 30 Grams fresh roots boil (when will boil immediately lift). Drink the cooking water. 15-30 Grams fresh roots boil then drink up. which inhibits sarcoma 180 and ehrlich ascitic carcinoma in mice. Extracts from marrow can destroy nitrosamines and for the prevention treatment of tract digestion tumor (digestive tract). 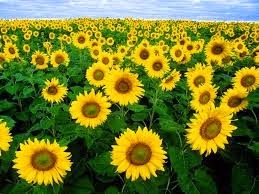 ATTENTION : "PREGNANT WOMEN DO NOT DRINK THIS SUNFLOWER POTION "
Flowers: Lowers blood pressure, reduces pain (analgesic). Seeds: Anti dysentery, stimulate spending body fluids (hormones, enzymes,etc. ), stimulate spending measles (measles). Leaves: Anti-inflammation, relieve pain, anti-malarial. Roots: Anti-inflammatory, laxative urine, cough, pain relief. 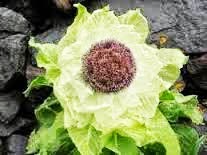 Marrow from stem and the flower base : Stimulates vital energy, soothe the liver, urinary stimulate spending, eliminate pain during urine. Flowers: Quercimeritrin, helianthoside A, B, C oleanolic acid, echinocystic acid. Seeds: Beta-sitosterol, prostaglandin E, chlorogenic acid, quinic acid, phytin, 3,4-benzopyrene. 100 total fat, saturated fat: 9.8 - unsaturated fats: oleic 11,7 linoleic 72.9.